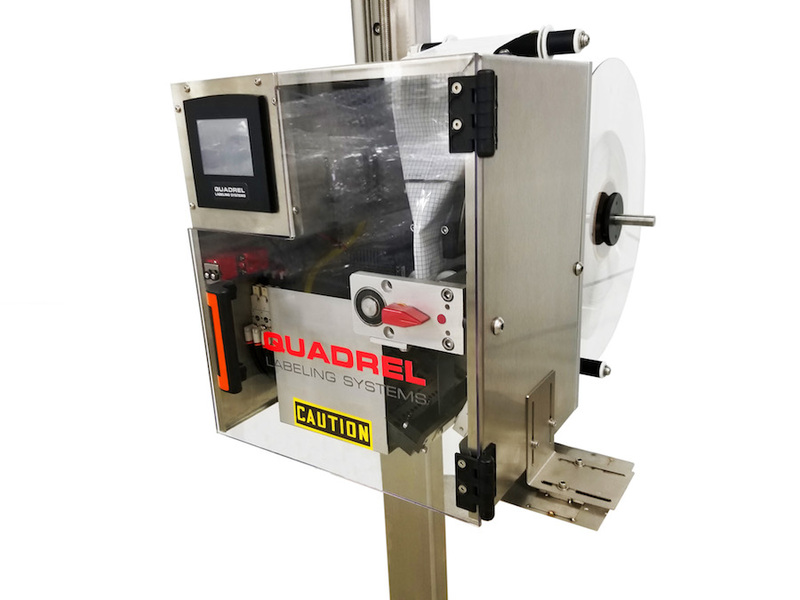 Quadrel manufactures three shrink sleeve application systems, SL90 economically priced system capable of speeds 100ppm, the SL200 is capable of speeds up to 200 products per minute and the SL300 high speed system is capable of speeds up to 300 products per minute for full body and tamper bands. Both the SL200 and SL300 systems feature Allen Bradley PLC control, color touchscreen operator interface and servo driven web drive. The SL200 can be configured for full-body, mid-body or tamper band applications up to 200 products per minute. Interchangeable mandrels and knife plates allow a wide variety of product diameters. Additional features include Allen Bradley PLC control and color touchscreen. 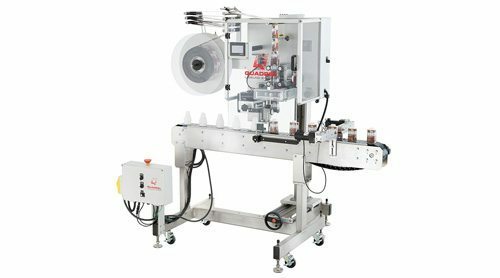 High speed, technically advanced tamper band or full body shrink sleeve application system featuring powered unwind, Allen-Bradley PLC, color touchscreen HMI and servo driven applicators. Speeds up to 300 products per minute are possible. 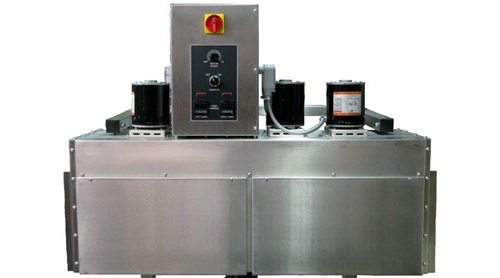 Electric radiant or convection heat tunnel for automatic shrinking of both tamper/ cap seal or full body. 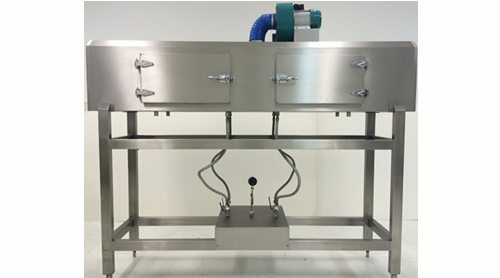 Stainless Construction with integrated Electric Controls. Variable speed blowers with adjustable air baffles. Available with electric lift to raise system from product flow. 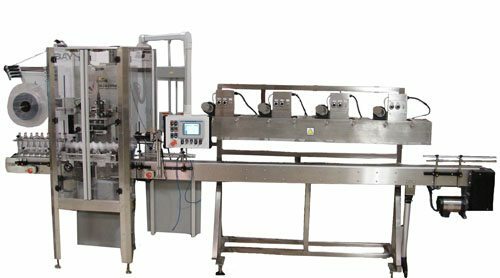 Steam heat tunnel for automatic shrinking of tamper or full body sleeves.